A mandibular fracture can be defined as a broken lower jaw. 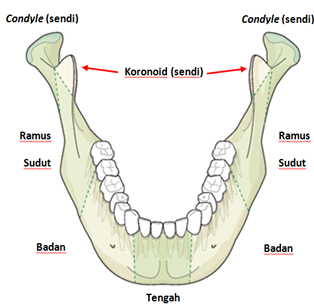 In Malaysia, mandibular fracture has the highest incidence rate (51.2%)4 sustained when compared to the other bony parts of the oral and maxillofacial region. What is a mandibular fracture (broken lower jaw)? The image below shows a schematic drawing2 of the mandible (lower jaw) and the most common sites of mandibular fracture. Pathological fracture due to osteoporosis or tumour. Facial swellings – over your chin, lips and lower jaw. Laceration (cut) on the skin or in the mouth. Inability to open your mouth wide. Difficulty in biting or chewing. Paraesthesia (numbness) over the injured area such as your lower lip / gums / lower teeth / part of your tongue / lower jaw. Difficulty in spontaneous breathing due to gross swelling, causing a risk to the airway. Fractured mandible at the chin area may lead to difficulty in breathing.This is due to the backward displacement of the tongue towards the throat. Profused bleeding from the fractured mandible. This will not only result in severe blood loss but may also compromised the airway. Radiographic investigations that may aid in diagnosis are dental panoramic radiographs. Whereas, CT (computed tomography) scans of the mandible will give a more comprehensive detailed view of the fracture sites. Patients with mandibular fractures are usually prescribed with antibiotics to avoid infection and analgesics (painkillers) to relieve the pain. 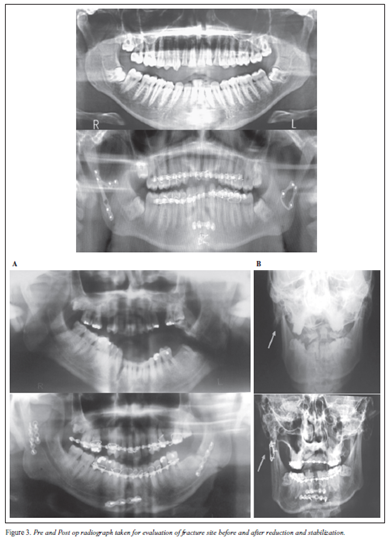 Minor mandibular fractures with mild occlusal discrepancies (bite alignment) may heal by simple limitation of movement. In general, patients will be given soft dietary advice to avoid chewing food and also advised to limit opening their mouths wide. This is in order to avoid further displacement of the fractured bone due to actions of the muscle. A patient may sustain either a single fracture or multiple fracture sites. 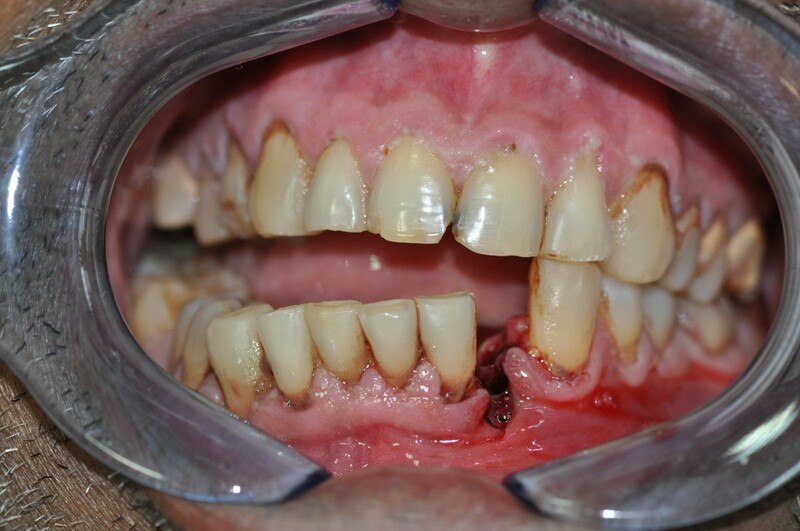 For multiple mandibular fractures, a patient may require multi-step treatment or surgery under general anaesthesia. The broken jaw must be immobilised into proper alignment and secured with plates and screws or wires where indicated. 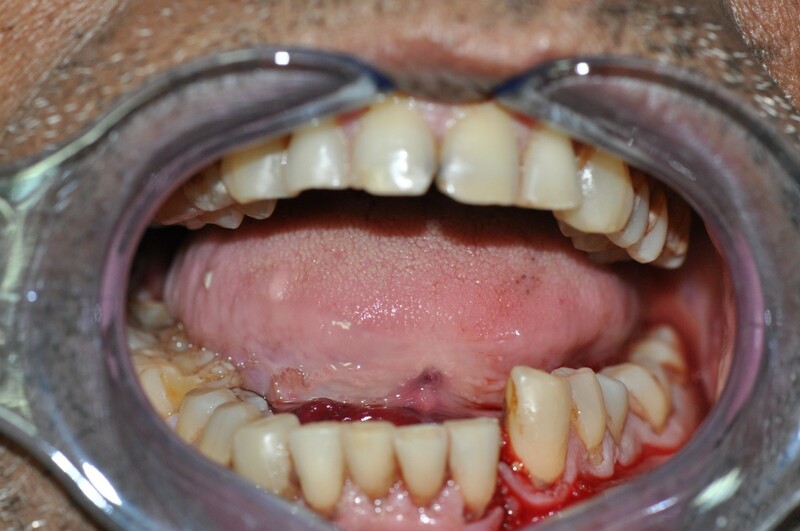 The aim of surgery or treatment is to achieve correct bite for the patient in order for rehabilitation of function especially biting, chewing and speech. 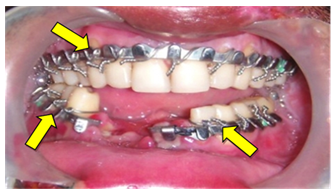 The above image shows placement of upper and lower archbars (as shown by the yellow arrows) in a patient’s mouth with mandibular fracture. This treatment option can be done to stabilise the occlusion prior to surgery or for those who refuse any surgery. Definitive treatment option is surgery under general anaesthesia. 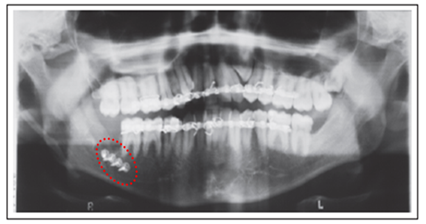 The aim of surgery is to immobilise the fractured segments which will then be secured by using plates and screws (depicted by the red circle) as shown in the dental panoramic image below. Subcondylar Fractures: Our 4 Years Experience. Mal. J. Oral Maxillofac. Surg. 2013;11: 17-25. To take analgaesics (painkillers) when necessary. To maintain good oral hygiene care. To attend follow-up appointments as scheduled by your surgeon. Generally, bone healing will be fully achieved within 6 to 8 weeks. It is adamant to seek treatment by an oral and maxillofacial surgeon who will follow-up your treatment till satisfactory healing has been achieved. Mustafa WM et al. 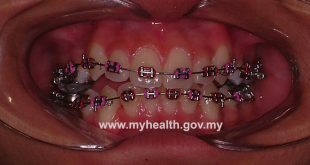 2006 The Pattern of Maxillofacial Fractures in Ministry of Healths’ Hospital Malaysia. Parumo R, Ma BC, Sujak R, Jelon A: Retromandibular Transparotid Approach to Subcondylar Fractures: Our 4 Years Experience. Mal. J. Oral Maxillofac. Surg. 2013;11: 17–25.